Watch full Ginga Eiyuu Densetsu Season 2 Episode 16 English Subbed full HD online. Ginga Eiyuu Densetsu Episode 42 English Subbed online for free in HD. Invitation to a Requiem. Julian arrives on Phezzan. The next evening, he attends his welcome party. Julian spreads conjecture about a possible invasion of Phezzan from the Empire. Reinhart organizes his fleet for operation RagnarÃ¶k. Admiral Bucock tries to warn the Alliance National Defense Council about a possible Phezzan corridor attack, but is ignored. November 20, 798 S.C. / 489 I.C. 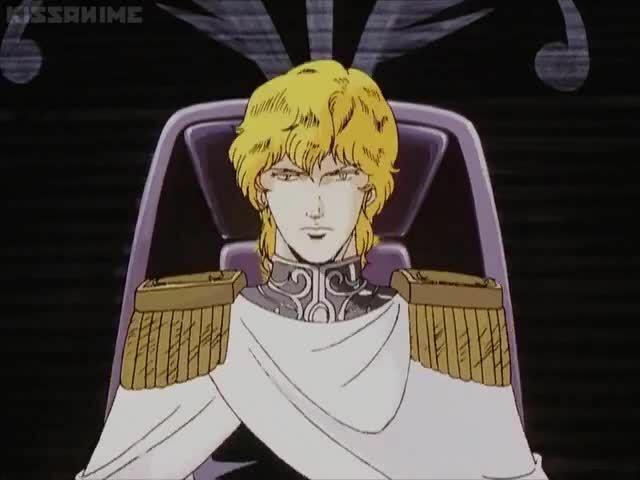 : Admiral Reuenthal leading an Imperial Fleet of 36,000 ships lays siege to Iserlohn. Carrying out the first part of Operation RagnarÃ¶k.